According to LIB, Wizkid has welcomed his second child with a lady based in the US named Binta Diamond Diallo who is a Guinean. Amidst the controversy, she has spoken about the child, born last week Friday and says so far, Wizkid has been a deadbeat..
"Yesterday, we spoke to Binta Diamond Diallo, who is the mother of Wizkid’s new child who was born last Friday. She named her son, Ayodeji Ibrahim Balogun, Jr. after the rapper in part so that he doesn’t try it with her like he did with the mother of his first child! Don’t know what I’m talking about? Get into this tea! 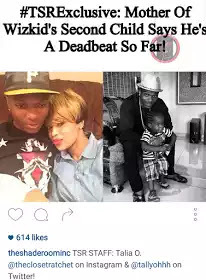 Months later in 2013, he posted a picture of himself with his son, Boluwatife Balogun, with the caption: “hey, the child’s mine guys, I’m done hiding him [from] you all.” You ain’t gotta lie, Craig! 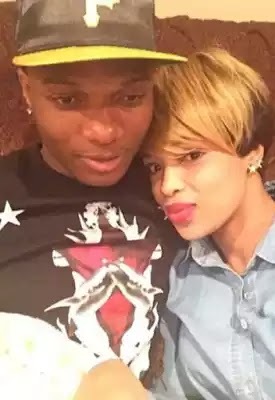 Anyway, fast forward to the following year, Wizkid began dating Binta which would continue off and on for 2 years. She told us that when she learned that she was pregnant in 2015, the rapper said that he was going to embrace being a dad this time around and that he’d certainly care for the child. However, he kept the child a secret from fans again! Not only has he not seen his son yet, but he hasn’t shown much interest in being a father and Binta wants that to change! Binta says that she just wants him to step up and be a man about his responsibilities.